This hands-on fraction model visually reinforces fraction understanding and builds confidence when working with fractions and mixed numbers. 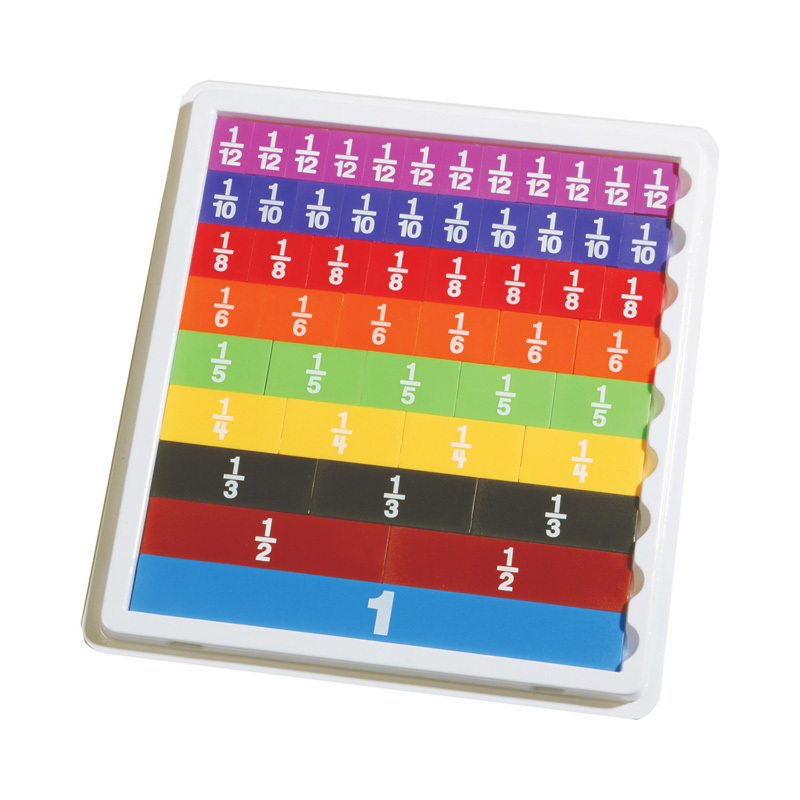 This set of 51 color-coded, proportional, plastic pieces represent a whole, halves, thirds, fourths, fifths, sixths, eighths, tenths and twelfths. Includes work tray.